Although it is located on the north western side of the country, there can be many Greek island hopping packages from Corfu to other destinations. A very convenient hop from Corfu is the neighboring island of Paxi, only an hour ferry ride away. However, in summer there are charter flights from Corfu to the islands of Kefalonia and Zakynthos, making it possible to combine these holiday destinations. 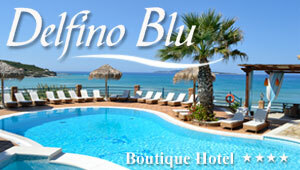 Do you wish to spend your holidays in Corfu and you do not have the time or knowledge to take care of all the details? Organize your holiday plan with us and you will not have to worry about anything. As we cooperate with many hotels and transfer companies, we always get the best offers for our clients. Below is our list with island hopping packages that start from or include Corfu. These packages are individual, not group, vacations. They include accommodation in lovely hotels, transportation and transfers from/to the ports/airports. Discover our 6 Days/ 5 Nights individual Island Hopping tour on the island of Corfu (Ionian), starting from Athens. Enjoy the most cosmopolitan island of the Ionian Sea, with the gorgeous landscape and the rich culture. Discover Corfu and Kefalonia (Ionian), two of the most beautiful and greenest islands of Greece with our 7 Days/ 6 Nights individual Island Hopping tour, starting from Athens.